You share your Tiger pride everywhere you go, but does your pet? 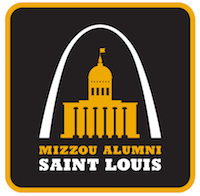 The Mizzou Alumni Association invites you to show off your animals in all their black and gold glory by sending in a digital photo of your pets showing their Tiger pride. Furry or feathered, scaly or slimy, show us a pet that loves Mizzou! Click here to submit your photo; your pet will automatically be entered into the ongoing Pet of the Month Contest.